Pets can bring joy to many people but unfortunately every year, some pets go missing. When that happens, it’s a good idea to post missing pet posters in your neighborhood in case someone spots your animal. To help you make up a lost pet poster, use a template and put your pet’s description and a photograph along with contact information to help anyone identify your pet. Don’t forget to post on social media too because paper flyers may not always be seen by everyone who could have spotted your missing animal. Before your pet goes missing, get a microchip embedded in your pet to increase the chance you can be reunited with your animal. 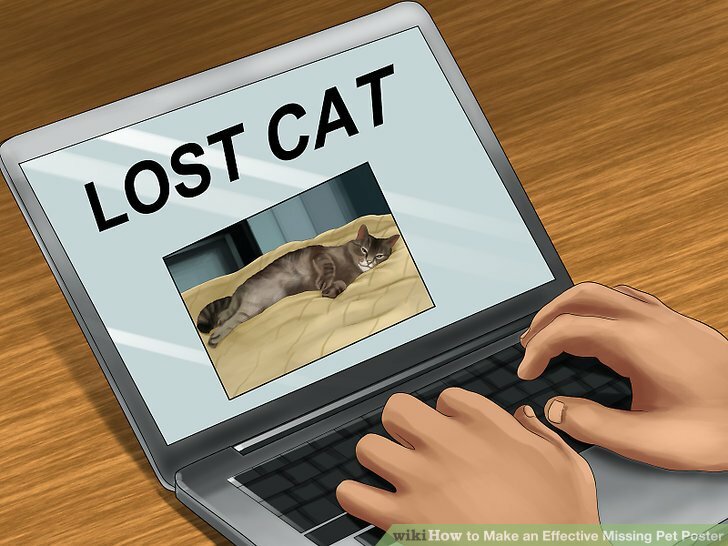 To create a missing pet poster, visit this site for tips.